7260 rail scales provide accurate weighing of rail cars. Coupled, in-motion scales are designed for weighing rail cars that are coupled together and moving across the scale at 3 to 5 miles per hour. The weighbridge converts a section of railroad track into a scale. Weighbridge is designed to meet AREMA requirements for Cooper E-80 loading. POWERCELL load cells transmit a powerful signal for accurate, reliable weighing. No matter how demanding your application is, METTLER TOLEDO has a railroad track scale to handle the job. 7260 scales are available for static weighing or coupled in-motion weighing. Choose between two deck options: a concrete deck with manholes and a steel deck with removable plates. Both provide easy access to the load cell network. 7260 scales are designed to handle the massive loads applied by rail traffic. They are built to last, with the strongest structural components fully supporting the rails. METTLER TOLEDO scales are designed to weigh rail cars safely, accurately, and reliably. Static Weighing – The static version of the scale weighs uncoupled rail cars that are stopped on the scale. A typical installation consists of two weighbridges that are spaced to provide single-draft weighing for various lengths of rail cars. In-Motion Weighing – The coupled in-motion (CIM) version of the scale weighs rail cars that are coupled together and moving across the scale at 3 to 5 miles per hour. It makes weighing quicker and safer by eliminating the need to uncouple rail cars and position them on a static scale. POWERCELL Load Cells – POWERCELL® PDX® load cells deliver the ultimate in vehicle weighing with unequalled accuracy and reliability. They eliminate junction boxes and are hermetically sealed for use in the toughest environments. The predictive diagnostics system monitors performance and verifies network health. Lightning Protection – The specially designed StrikeShield™ lightning protection system helps prevent costly downtime by using multiple levels of protection to safeguard your entire scale system: load cells, cables, and terminal. It is the only system that has withstood multiple lightning strikes in tests by third-party laboratories. As a distributor for Mettler Toledo in several of our territories, J.A. King offers the 7260 series rail scale throughout Oklahoma, Nebraska, Iowa, and Kentucky. 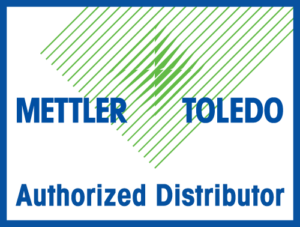 For more information about the Mettler Toledo products we offer, or to get a quote for new equipment, click on the link below to discuss your needs with a J.A. King team member. Do you need a Mettler Toledo truck scale serviced? Take a look at J.A. King Truck Scale Calibration Services and learn why customers love GageSuite® our award winning, cloud based calibration management system.